LONGUEUIL, Quebec Astronaut Chris Hadfield says he's retiring from the space program and moving back to Canada after decades away from home. 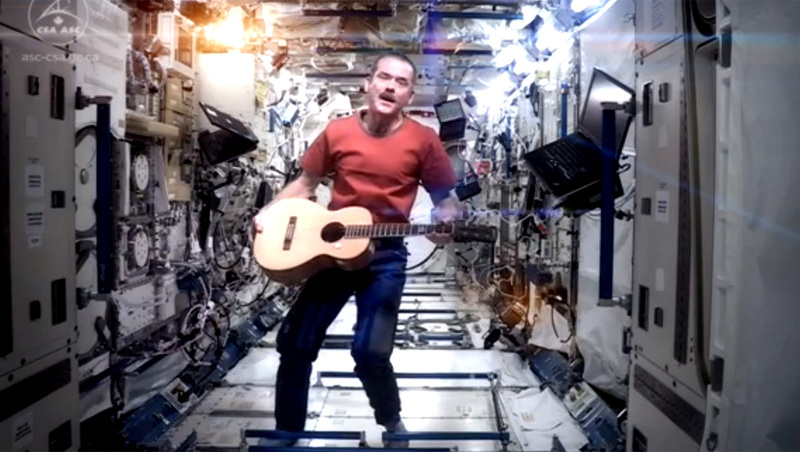 Hadfield gained international prominence during his recent six-month trip to the International Space Station, where he used social media to share experiments, photographs and a memorable music video. He announced Monday that he is leaving the Canadian Space Agency next month. He will leave behind his longtime home in Houston, where he built his career as an astronaut. Hadfield made the announcement at the Canadian agency's headquarters in his first such event in the country since his return from space. He says he plans to do presentations on space while reflecting over the coming year on his next move.